GREAT NEWER BUILD, WHY NOT MOVE RIGHT IN AND HAVE IT COMPLETLY DONE WITHOUT THE HASSEL OF WAITING, 3 BDRM RANCH W/SO MANY EXTRAS. 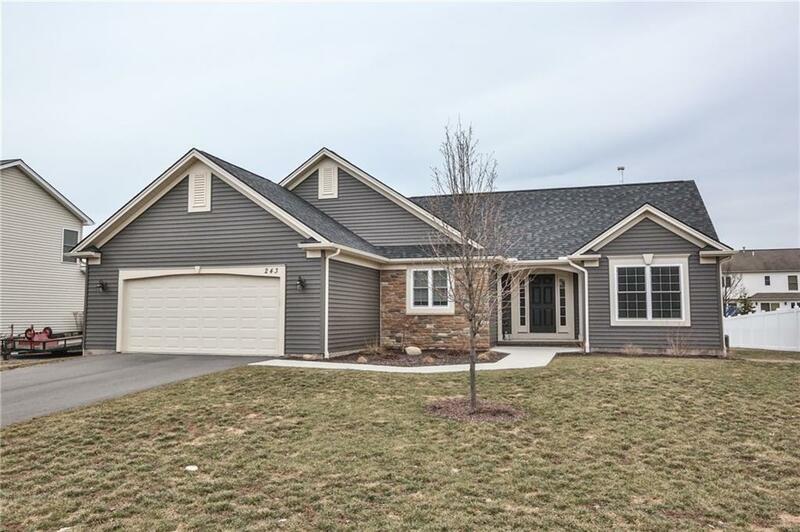 VAULTED CEILINGS, MODERN KITCHEN W/GRANITE, OPEN FLOOR PLAN, MASTER W/HUGE WALK IN CLOSET, PLUMBING ROUGH IN BASEMENT FOR FUTURE.MUST SEE WONT LAST!!! !